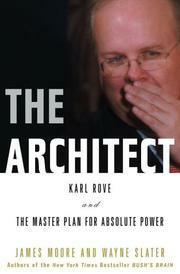 Karl Rove’s middle name is Christian, and his favorite constituency is Christian, the farther right the better. And yet, TV correspondent Moore and Dallas Morning News political writer Slater reveal, Rove “once told a colleague that he had no religious affiliation and was ‘not a Christian.’ ” Still, perhaps mindful of Lenin’s praise for “useful idiots,” the cynical self-described genius recognized that in the Christian right—and in such underappreciated new phenomena as the mega-churches mushrooming across the land—lay the ground troops for his dream of one-party rule. The party, of course, would be the Republicans, who had once been dominant for half-a-century and could be made to be dominant even longer thanks to the charms of such Roverian dreamboats as Ronald Reagan and George Bush. Possessing a bookie’s knowledge of stats and trends, Rove masterminded every aspect of Bush’s 2000 and 2004 elections, good and bad, using whatever means necessary to divide the enemy, usurp their message, convince supporters that the enemy was an agent of satanic forces—whence such infamous wedge issues as gay marriage, which turn out to be meaningful to just enough of a conservative fringe to settle elections in many a district. It is illuminating to learn that Rove, quite apart from disdaining “the base,” may have certain feelings about gay people because of personal history; it is still more illuminating to know that the GOP’s leadership subscribes to the view of Rove’s own mentor, Michael Ledeen, who, the authors report, once remarked that the president may be excused if he should “enter into evil whenever the very existence of the nation is threatened.” Thus Abramoff, and Iraq, and . . .
An architect, indeed, in the Speerian sense—and that’s no hyperbole. So the reader, sobered and astonished, might well conclude.